Well, the first Marietta Marketplace dawned dreary and drizzly. We set up under gray skies, and were just putting the finishing touches on booths when the first visitors arrived! And they just kept coming! It was a great day of people discovering talented artists and artisans, snagging sweets from a favorite bake shop, and browsing unexpected treasures. The gray skies gave way to warm sun, and by the end of the day some vendors were nearly sold out, others had made new contacts and customers, and all felt it was a day well spent. People seemed to enjoy their time both at the Marketplace and beyond—many were spotted visiting the shops and businesses nearby! Before the end of the day, I had been asked this question many times –“when is the next one?”. And so, before my sunburn even fades, it’s time to announce the next Marietta Marketplace—October 4th! Click the “Markets” tab for information, and the “APPLY” tab if you would are interested in joining us. Thanks to all who participated in the first event–it took a leap of faith and you are much appreciated! Looking forward to October! Woohoo! Well, we’ve been getting lots of press, the vendors are excited, we’re all watching the Weather Channel, and it’s only 4 days away! Time to get it all together, including some directions for our first-time-to-Marietta visitors. If you are approaching Marietta from I-77 in either direction, you will take the exit ramp and go right toward town. You’ll drive through the business district (and some road construction, sorry) and stay on Pike street. You will drive past the football stadium and soccer fields (and more road construction, sorry again) and keep driving until the street ends and you can only turn right or go to the Lafayette Hotel. You will turn right, and now you are on Front Street. Just a couple blocks and you will see the Marketplace on your left, on the lawn. There is a public parking lot next to and behind the Armory, along with street parking. If you can’t find parking nearby, there is another public lot across Putnam Street along the bridge. If it’s a nice day, you will enjoy walking to the Marketplace and it will give you a chance to check out all the cool shops on Front Street and the surrounding area. See you at the Marketplace! It’s Official, We’re On the Radar! The Marietta A.M. published a press release about our first event! You can read it here. The article omitted the website, so readers will not get a chance to preview the vendors’ items unless they visit our vendor page. You can click the Vendor tab and click each vendor name to learn about them, their products and processes. Please take time to visit Front Street on June 21st! We hope you will enjoy meeting talented and interesting people, finding unique, beautiful and tasty items–and maybe going home with an unexpected find! Our goal is to grow each event, until the Marketplace is large enough to fill Muskingum Park. 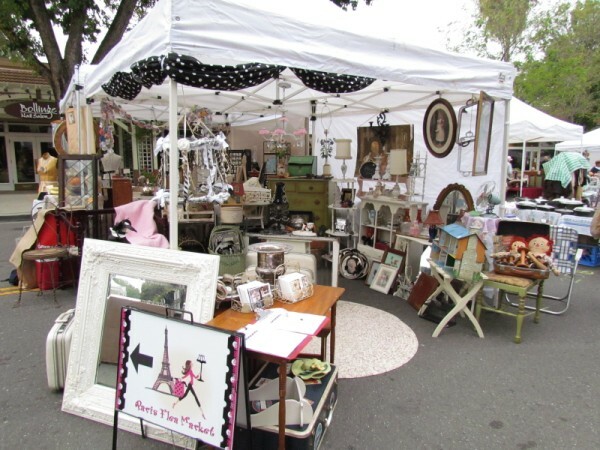 Marietta Marketplace is more than a group of vendors under tents–it’s a chance to discover (or re-discover) what makes Marietta special. It’s a reason to get outdoors, do something different, and patronize the small businesses and merchants that help make us a Main Street city. Now that we’re counting down the days until our first Marietta Marketplace, some vendors may be a bit nervous about their first flea. Of course, all our vendors may be seasoned veterans and have no need for these tips. But if I’m not the only one experiencing the first-flea jitters, perhaps some words of advice will make for a well-oiled Marketplace. I’ve been garnering advice from various bloggers and vendors, and I’ll share some of the pared-down information. If one word could sum it up, it would be…..preparation! — Pack smartly. Keep your supplies labeled and organized, so you’re not trying to set up wondering where your scissors/tape/safety pins/hangers are. –Pack like a scout. Think of any scenario, and be prepared. Rain? Bring covers, poncho. Wind? Make sure your canopy can be secured. Customers? They may want bags, receipts, your business card. Hunger? Thirst? Sun? Make sure you will be comfortable all day. Are you using a Square for the first time, to accept credit card payments? Be sure to try it out beforehand so you know how well it works. –Arrive early. Our first event has less than 20 vendors, so we don’t foresee people jostling for parking and loading space. The armory has a parking lot on the side and rear, and is situated with street parking and sidewalks. Nevertheless, you don’t want to be setting up when the first potential customers arrive. –Know your space. Will you be on level pavement, or grass? It never hurts to have some cardboard or wood squares along in case your canopy needs a little help standing level. –Max out that space! I’ll be bringing some of my items in old suitcases. I’ll use the suitcases for display, too, and stack them for height. Crates on their sides, a small dresser with the drawers open–lots of ways to display small items among the large ones. People enjoy the “search” for treasures, so provide them lots of items to browse and seek out that special something. — Selling jewelry and clothing or accessories? It’s always nice to have a mirror on hand. –Rehearse! Again, if you’ve been doing this for a while, you likely have your routine down to an art, and know exactly how you will set up. But I’ll be doing a mock-up of my booth next week, then taking pictures so I remember how I want to set it up.